Today's Poll: Do you support public financing of political campaigns? posted by Howard B. Owens in polls, advertisement. Do you support public financing of political campaigns? 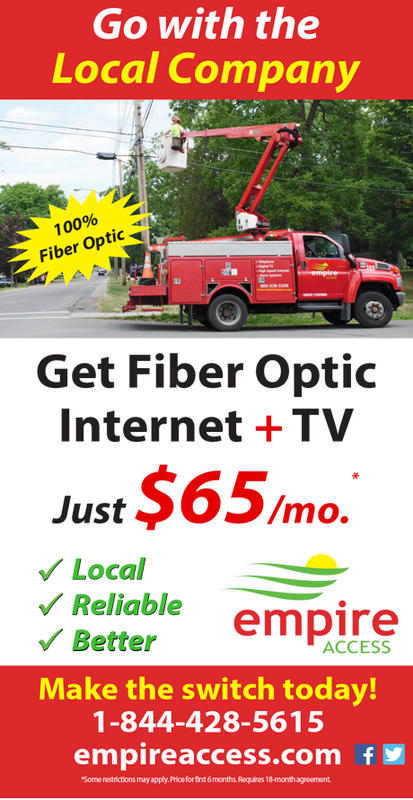 posted by Lisa Ace in Sponsored Post, advertisement, genesee county chamber of commerce, Home Show, local, Vendors, home improvements, batavia, Falleti Ice Arena. posted by Lisa Ace in Sponosred post, advertisement, open house, batavia, Reliant Real Estate, real estate, Homes for Sale. 164 Summit Street • Open House Saturday 10-11:30 a.m. OWNERS WILLING TO LISTEN TO ALL REASONABLE OFFERS! Easy to see and super affordable, this 3 bedroom bath and a half home features very spacious room sizes. Downstairs is open and great for entertaining but very homey. Some hardwood floors and gorgeous unpainted woodwork really give this home charm. Upstairs the bedrooms are all large with closets, and attic is already partially finished and with a little paint could be amazing extra living/play space! Mechanically sound with nothing urgent to tackle but what you want to do! Enjoy the front porch that has the forever trexx decking to enjoy the neighborhood or have your morning coffee on the back deck to enjoy the peacefulness of the cute back yard -- either way come check out a really nice home! List with Reliant Real Estate today! Call Lynn Bezon today to see this property or click here for more information. posted by Lisa Ace in Sponsored Post, advertisement, Oliver's Candies, Easter, Easter Bunny day, bunny, candy, batavia..
posted by Lisa Ace in Sponsored Post, advertisement, Open Houses, real estate, bergen, Lima, Conesus, ..
posted by The Batavian in Tompkins Bank of Castile, advertisement, Sponsored Post. 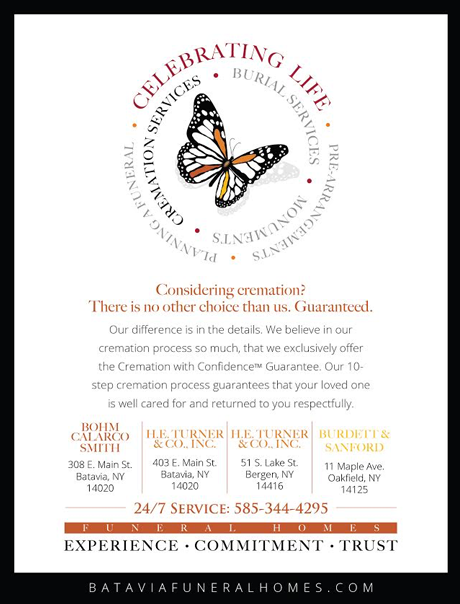 posted by Lisa Ace in Sponsored Post, advertisement, Empire Access, Shop Local, Fiber Optic, internet, batavia..
posted by Lisa Ace in Sponsored Post, advertisement, HE Turner, Cremation, Funeral Preparations, Burial Services..
posted by Lisa Ace in Sponsored Post, advertisement, Mark Lewis Agency, State Farm, Fastpitch Softball, Local Sports..
We’re excited to be sponsored by our local State Farm® agent as this month’s Quotes for Good organization. This month, for every person we send their way and who completes an auto quote, they’ll make a $10 donation to our organization. For the quote to qualify, the individual cannot be a current State Farm customer, but please refer friends and family to help support this organization. When calling in/stopping by for a quote, be sure to mention Quotes for Good and our organization’s name for the quote to qualify. We are excited about the opportunity to generate donations and create awareness about this cause. 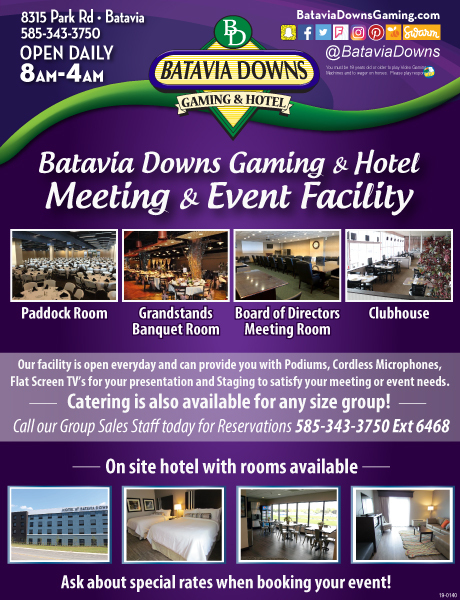 Call 343-4959 or visit our office at 8331 Lewiston Road, Batavia, NY 14020. Thank you for supporting us through Quotes for Good. Together, we can make a difference in our community. posted by Lisa Ace in Sponsored Post, advertisement, Genesee Symphony Orchestra, music, pops concert, batavia.